When we look at Remi’s images today, we think about the spaces around us, whether in a gallery or a city street, and we lose ourselves in the sheer pleasure that he offers us through the geometry of colour. TAVA aka Antoine Tavaglione is a Canadian Pop artist, muralist and illustrator based in Montreal. Not one to shy from the spotlight, he has made waves with his controversial mix of pop art, political banter and high fashion, Tava takes an omnivorous approach to culture both high and low, interacting with its symbolism and cult figures through his tongue-in-cheek style and signature ‘dripping milk’ visual effect. TAVA has showcased his artwork including original paintings, drawings, installations and silkscreen prints worldwide in both museums and galleries in NYC, Miami, Toronto, Sao Paulo to name a few, TAVA has also worked on an international level for clients & brands by applying his very own signature aesthetic to products and commercial spaces. In the last year, TAVA has collaborated with Ford Canada, creating works for three Montreal subway stations during a Ford Fiesta campaign. A couple of months ago, Tava took a trip to Brazil, he created large murals all over the city of Sao Paulo. He worked in partnership with Instagrafite, they introduced and immersed Tava within the art community of Sao Paulo. More recently, he has collaborated with Bucketfeet, a Chicago based shoe brand, designing a custom TAVA shoe. Tava is also currently exhibiting original paintings at the BucketFeet pop-up shop in Soho, NYC. 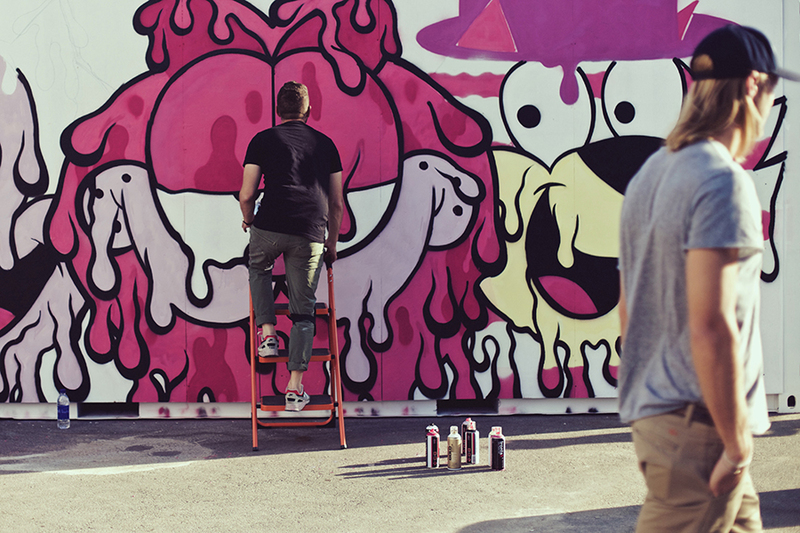 Tava has been travelling back and forth to NYC, creating artwork on the streets and working on a multitude of projects. After recently partnering up with French fashion house Hermes, Dubai-based Wissam Shawkat is one of the top calligraphic writers and designers in the world. 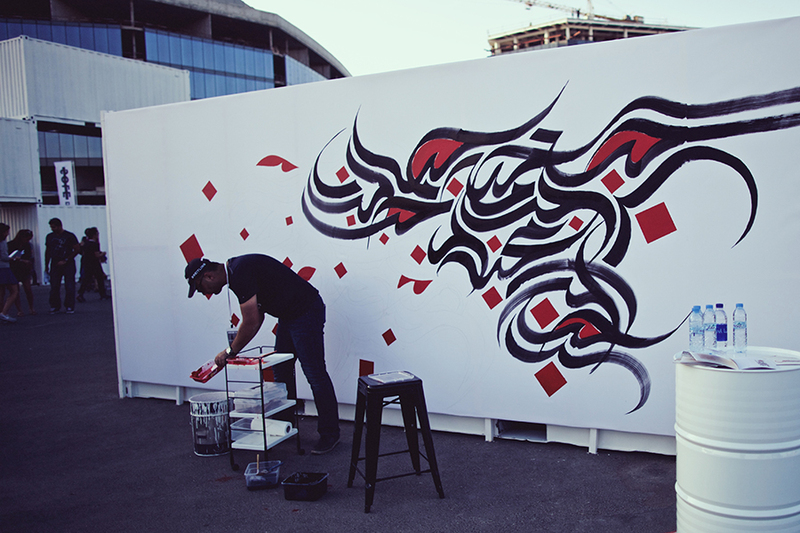 The Iraqi artist first became infatuated by calligraphy when he was 10 years old, when his teacher started drawing Arabic letters in chalk on the school blackboard – providing him with a love for lettering ever since. Today, the self-taught artist’s work is recognised and collected by connoisseurs all over the world, keeping a visual design ethos of classical lettering infused with modernity as his signature style. Shawkat’s work is carefully thought-through and not at all random, as he built his artistic foundation on Islamic tradition and evolved it into a new hand calligraphy style script called Al Wissam Style – which is modern, metropolitan and ornamental. After his Letters of Love series was received with great acclaim in New York, Shawkat continues creating beautiful calligraphy artwork in his unique styles, one letter at a time.